Hi everyone! I have a really fun zipper tote bag tutorial for you today! 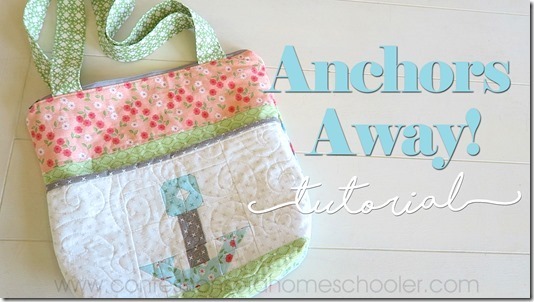 And it comes with my FREE Anchor’s Away quilt block too! I’m calling this one my Anchors Away Bag and it features the Nest fabric line by LellaBoutique for Moda. 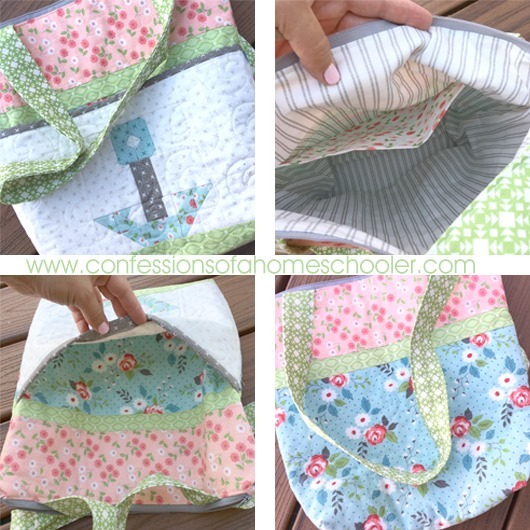 This bag has a top zipper enclosure, fun handles, an inside pocket, and a front pocket with my cute Anchors Away quilt block on it. This bag is super cute, but still fairly easy. Even the anchor block is pretty beginner friendly, so I hope you’ll give it a try! Let’s get started sewing shall we? 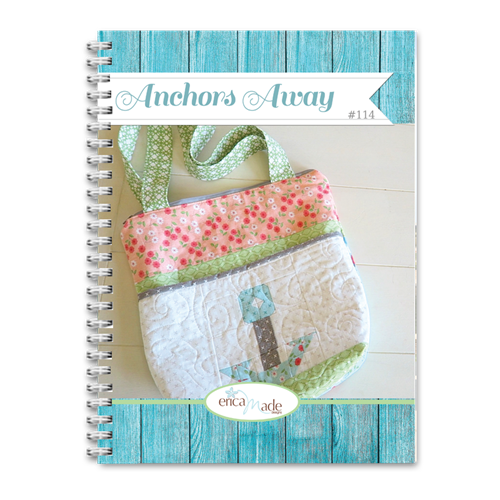 –>> Download the ANCHORS AWAY BAG PDF here! Disclosure: This is not a sponsored post, but the links above may be affiliate links! Thank you for helping support my blog by clicking on my links! I love your work. I homeschooled my youngest son into college. It was a lot of work, you are inspirational. Thanks for sharing your talents. That was great, you make it look so easy. thank you for inviting me to watch.